Enter to win a $500 Whole Foods gift card! is running a giveaway for a right now! Go to enter your e-mail address for a chance to win! Psst! You can also enter for a chance to . I know so many people suffer from frequent heartburn. I don’t anymore, but I have at different times in my life and it is rough. You can’t sleep. You are miserable. And you just want to figure out how to get some sort of relief from it! If you’ve ever suffered from frequent heartburn, you probably know that swallowing a pill can be a bit taxing — which is why that melts in your mouth… no pill-swallowing required! Best of all, you can now get (also referred to as Omeprazole ODT) over the counter at your local Walgreens store! Easy-to-take orally disintegrating tablet that works just like the current Omeprazole tablet, but you don’t have to swallow a pill! Dissolves easily on the tongue with MELTechTM. Due to its long-lasting protection, it’s ideal for frequent heartburn sufferers. No glass of water needed. You can take it on the go with you! Designed to treat the symptoms of frequent heartburn of 2 or more days per week. Provides 24-hour relief from heartburn. Relief will be seen within 1-4 days, while some may see relief within the first 24 hours. Strawberry flavored for a pleasant taste. And because this is a store brand offered by Walgreens and they often offer great savings on their OTC products, you’ll save more money buying this at Walgreens compared to other national brands at other retail stores. In fact, right now Walgreens is offering a great . They are having a buy one, get one 50% off mix & match sale on all Omeprazole ODT, PLUS you can get 5,000 Balance Rewards Points when you buy two products! Choose in-store pickup to avoid shipping costs or buy $35 worth of product to get free shipping to your home. Win a $100 Walgreens gift card! 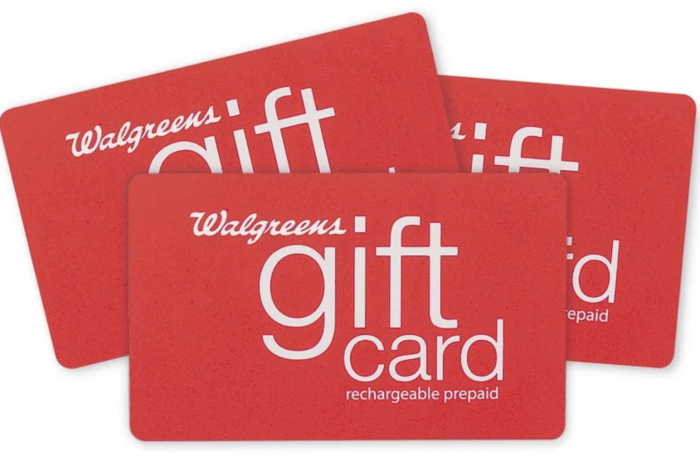 We have one $100 Walgreens gift card to give away to a lucky reader! Just leave a comment on this post telling us your experience with heartburn or why you’re excited about trying Omeprazole ODT. Giveaway will end January 2, 2019. Medical Disclaimer: Use as directed for 14 days to treat frequent heartburn (occurring 2 or more days a week). May take 1-4 days for full effect. Not intended for immediate relief. You should not take Omeprazole Orally Disintegrating Tablet for more than 14 days or more frequently than every four months unless directed by your doctor. Suffer from heartburn? Read this + enter to win a $100 Walgreens gift card! I’ve had terrible heartburn in my lifetime — especially during my last pregnancy! I remember that it would be so bad that I would try to fall asleep sitting up to help ease the discomfort a little bit. I would want to get relief from it, but the last thing I would want to do was try to swallow a pill. If you’ve ever suffered from frequent heartburn, I’m sure you can relate! Which is why — that doesn’t require you to try to swallow a pill. You can now get (also referred to as Omeprazole ODT) over the counter at your local Walgreens store! This easy-to-take orally disintegrating tablet works just like the current Omeprazole tablet, but you don’t have to swallow a pill! It dissolves easily on the tongue with MELTechTM. No glass of water is needed. You can take it on the go with you! It’s designed to treat the symptoms of frequent heartburn of 2 or more days per week. One pill provides 24-hour relief from heartburn. Relief will be seen within 1-4 days, while some may see relief within the first 24 hours. The pills are strawberry flavored for a pleasant taste. Giveaway will end December 18, 2018. Medical Disclaimer: Use as directed for 14 days to treat frequent heartburn (occurring 2 or more days a week). May take 1-4 days for full effect. Not intended for immediate relief. You should not take Omeprazole Orally Disintegrating Tablet for more than 14 days or more frequently than every four months unless directed by your doctor. Please your doctor before taking if you are nursing or pregnant. Stretch your online shopping savings with RetailMeNot + enter to win a $500 Visa gift card! If you’ve been in the couponing world for any length of time, you probably know that is a popular place to find some of the best savings for online shopping. With thousands of coupons, deals, and cash back offers, makes it really easy to save on everything you need — especially if you need last-minute clothing or school supplies for back to school season! And what you may not realize is that RetailMeNot has rolled out some really great new features recently! They have a new browser extension called . If you’re too busy to search for deals yourself, is really helpful! Basically, this new does all the legwork for you — it finds, combines, and applies savings at checkout when you’re shopping at your favorite online stores! You don’t have to hunt down codes or wonder if they’ll actually work. 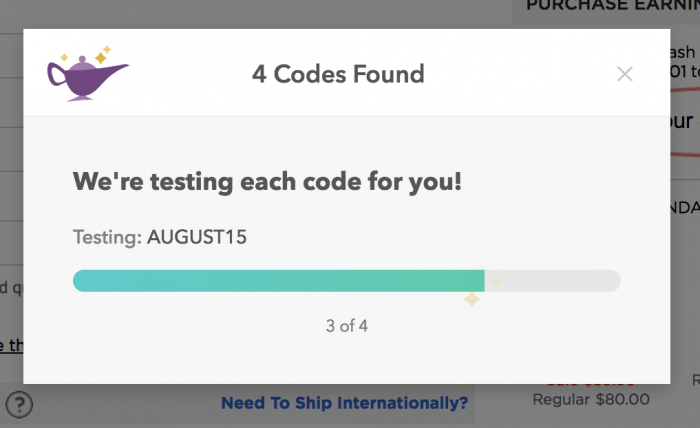 When you’re shopping on a site, the will automatically test and apply any coupon codes that currently exist! It’s really cool! I actually tried this out when I was shopping online at Kohl’s the other day! Genie found four different live codes to try. And then it went through the process of testing each code. In the end, it automatically applied the best code that could be used — saving me a total of $7.63! It was SUPER easy and required almost no work on my part! All I had to do was hit the when I was ready to check out! Aside from saving money online, you can also to access thousands of discounts on your mobile device. As I already stated, it’s totally FREE to download! It features thousands of in-store and online savings offers. Deals can be redeemed directly from your phone. You can even use the “Eat” tab to get deals at restaurants. You can enable location-based alerts so that you know when there’s a deal at a store nearby. There is a wallet within the app that stores all of your saved offers and deals, discount gift cards, and cash back status. You can use the heart to save your favorite stores in one place. And you can even tap the star to save a deal for later. 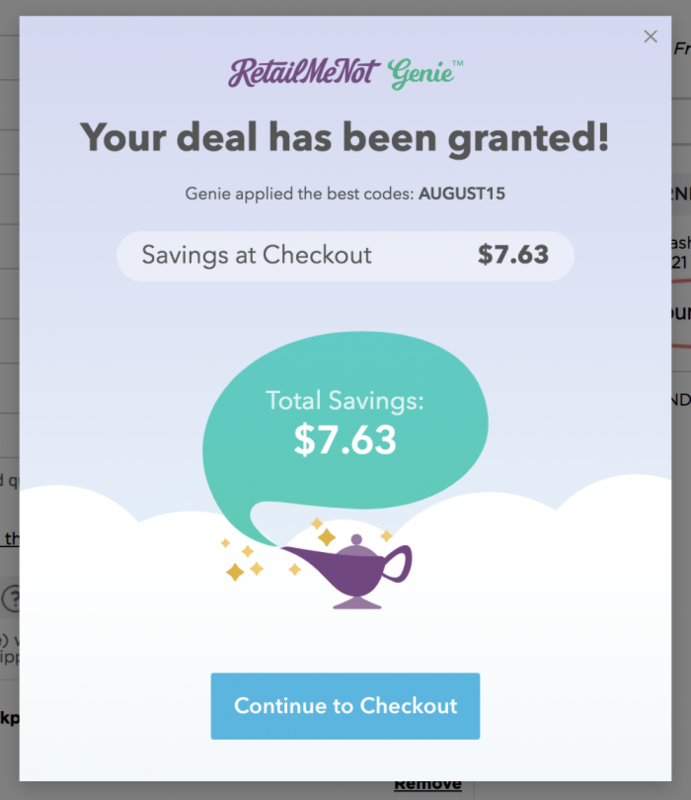 RetailMeNot makes it so easy to save — whether you choose to use their , , or . Want to win a $500 VISA Gift Card?! Update: This giveaway has closed and the winner has been ed via e-mail. 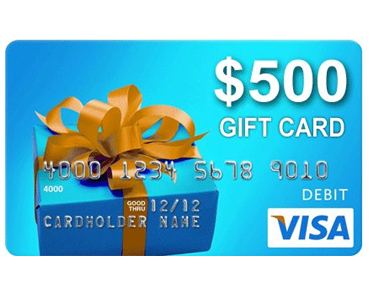 RetailMeNot is offering a giveaway for one lucky MSM reader to win a $500 VISA gift card! Comment on this post with the discount you’re most excited to use. This giveaway will run through the end of day, September 12, 2018. Alpha Omega Publications: Get 20% off the LIFEPAC homeschool curriculum + enter to win a LIFEPAC prize package! Did you know that in addition to their popular Monarch online curriculum? AOP’s print curriculum, , was actually their very first curriculum and it’s been a trusted curriculum among homeschoolers for over 40 years! The recently got beautifully redesigned, and the content is now presented in an age-appropriate way for students in kindergarten through 12th grade. is really unique because the full year of curriculum is broken up into 10 worktexts — which are portable, easy-to-use sections that combine textbook lessons with workbook exercises. This allows kids to learn at their own pace, build confidence gradually and consistently, and gain a sense of accomplishment every 3 to 4 weeks as each worktext is completed. Plus, each LIFEPAC comes with a removable self-test for review, a teacher’s guide, answer keys, and practical tips for teaching your children. Get 20% off LIFEPAC products! If you’re interested in , Alpha Omega Publications is currently offering an ! No coupon code is required. Just and you’ll see the discount reflected in the sale price listed. Choose from complete 5-subject sets or individual subjects for each grade level! Win a LIFEPAC Prize Package! Want to try LIFEPAC for your kids? I have great news! Alpha Omega Publications is to a lucky MSM reader! The giveaway ends on August 15, 2018.